Gardens are fun to put together and add seeds, but they do take time and maintenance to be successful. 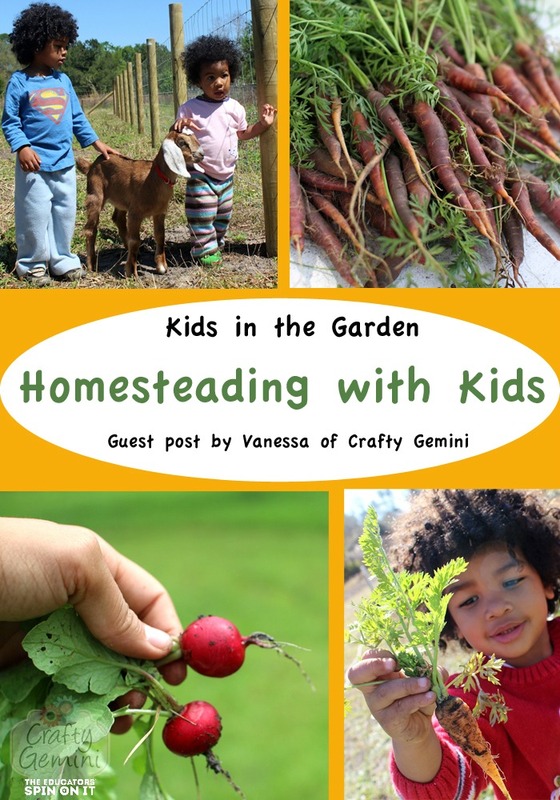 Teaching responsibility it a great life skill that can be taught with the gardening. 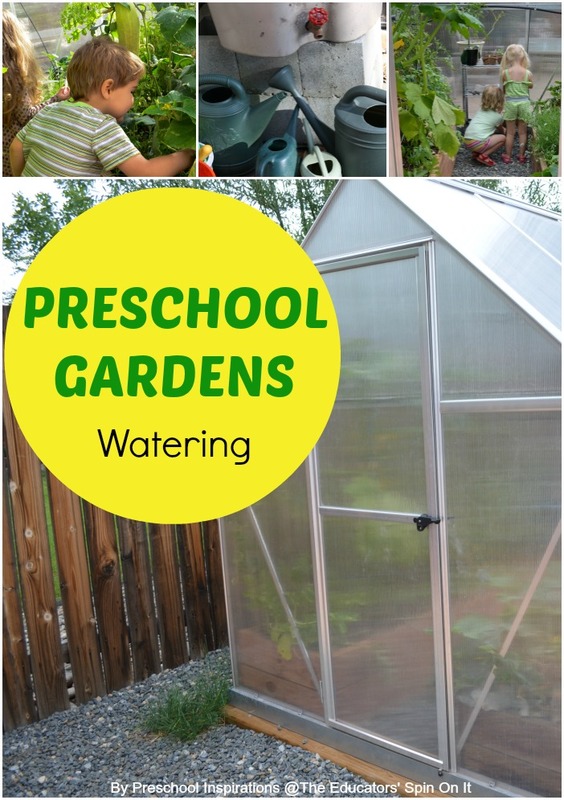 Today, we have Katie here to share with us more about the task of watering with preschoolers! She is a teacher, mom, and creative individual who shares more about her preschool experiences on her blog, Preschool Inspirations. It is such an honor to share a guest post today! 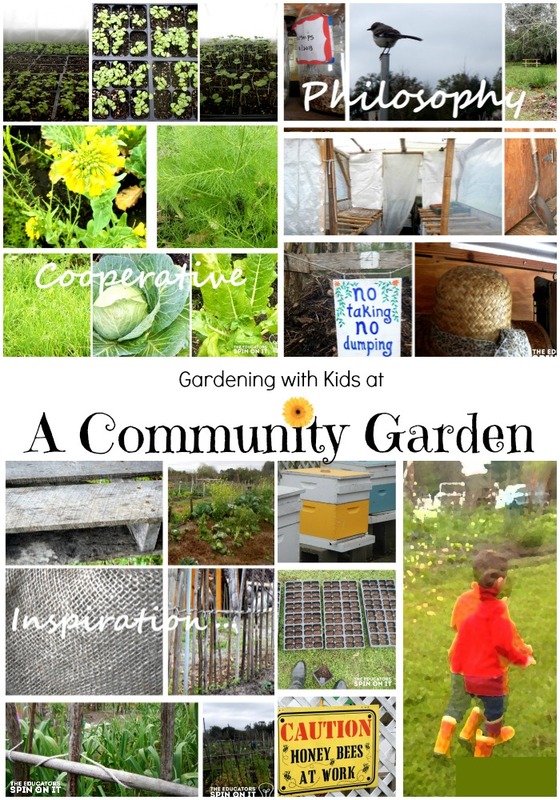 What a wealth of information and wisdom there is on the Educators’ Spin On It about getting children in the garden, and I am thrilled for the chance to share about how my preschool integrates this into our learning activities. My preschool class has quite a unique learning venue — our class greenhouse! This is by far one of the biggest highlights of our summers and the fall. I honestly had no idea how amazing it would be for them, and I am so grateful that we decided to make gardening a priority with these little ones. Each child gets the chance to take care of different aspects of tending to our plants, depending on their ages and abilities. However, everyone gets the opportunity to water our delightful plants and veggies. Since children learn naturally through repetition, our greenhouse gets extra attention and that means lots of hands eager to keep watering, over and over again! I love to make this available to them, and it is also my intention for each child to independently help in this way. To allow for this, I am going to share three different watering tools that the children are able to use. The first and beginning watering tool is a pipette. 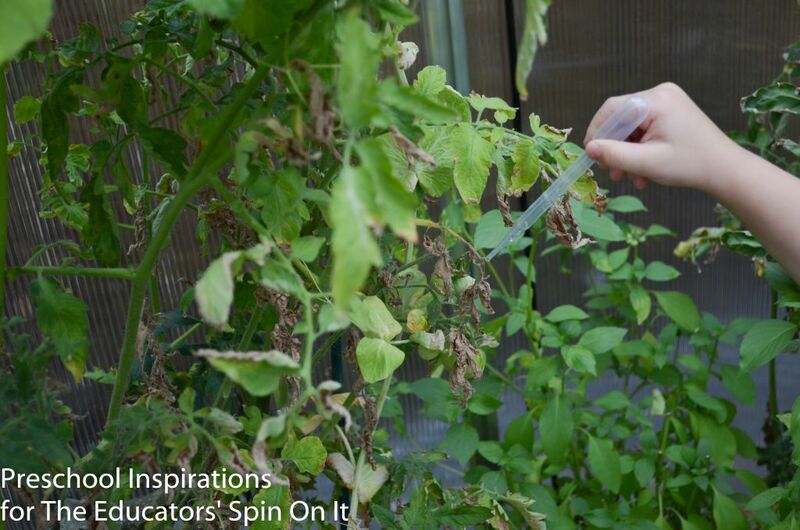 Pipettes are great for the tiniest gardeners as well as older ones. When they want to continue watering (because they will! ), I really have no worries about the plants getting excess water with pipettes since it just holds a very small amount. I let our preschoolers water to their heart’s content. We just keep cups in the greenhouse with water and pipettes in them. The children use them at their leisure, and we get refills as needed. Another watering method we use is a spray bottle. This takes some extra fine motor strength, so it is great for the kiddos who have been working hard and mastered the pipettes. What I like about using the spray bottle is that is resembles a soft, gentle rain on the mist setting. As long as they are not spraying their friends, we are all having a great time. Lastly, we use a more common watering tool: a watering pail. This can be used with help for any child, and there are some great child sized ones. 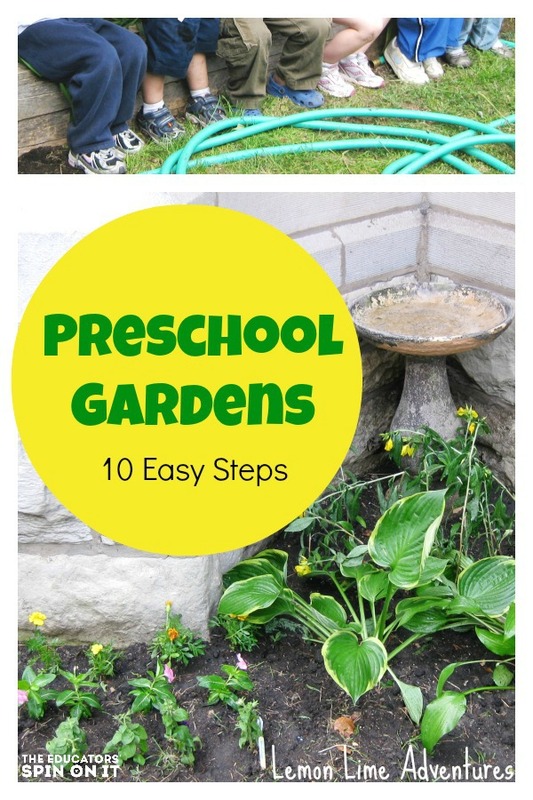 I save it for the older preschoolers to do independently though as it could “drown” some of our plants. It is a great honor when any of the students “graduate” to this level as it shows they are responsibly taking care of and observing the water needs of our thriving garden. There is no rule for how much water a plant needs each day. They all need various amounts depending on the type of plant and the weather. We have become really good at observing our greenhouse daily to determine if our plants are thirsty or not. I am always so impressed when a child notices plants that I have overlooked which need to be watered. If you have been considering doing gardening with children, I want to encourage you to take the plunge. Not so long ago, I struggled to keep any plant alive, but now my entire preschool and I are enjoying this rich experience with an entire greenhouse in my own backyard. 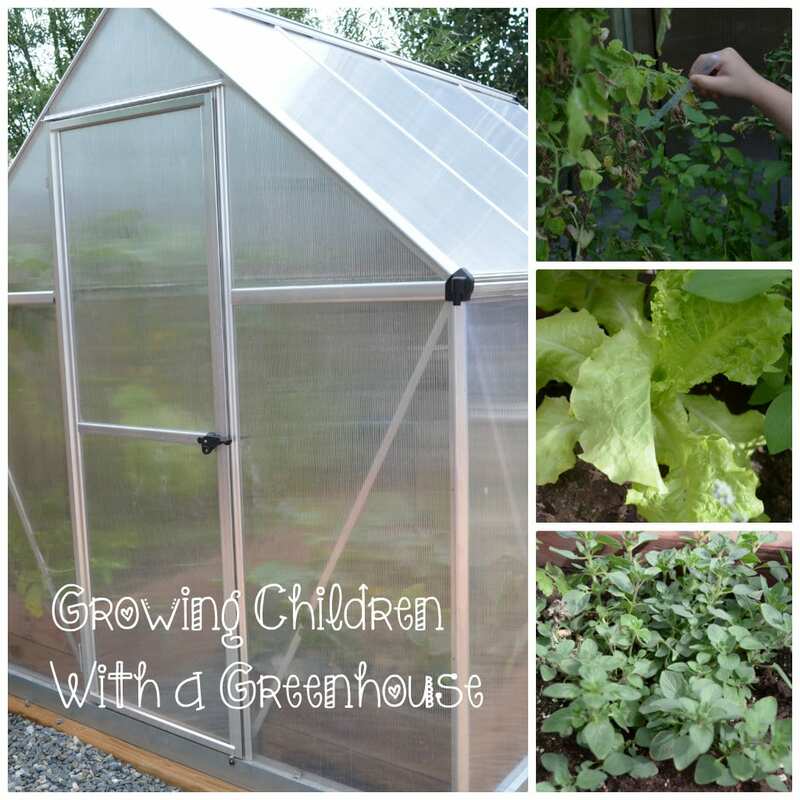 If you would like to hear more about our greenhouse experience, you can read my post on Growing Children With a Greenhouse. Katie has been an Early Childhood Teacher for 12 years, and she is the mother to two delightful children who are three and five years old. She administrated a corporate preschool before opening up her own private preschool inside of her home three years ago. She loves being able to combine two of her greatest passions, motherhood and teaching. You can find ideas and inspiration on her blog at Preschool Inspirations. You can also follow her on the Preschool Inspirations’ facebook page or find educational resources on her pinterest page. Join us on March 31st to plant a seed with your child. Share your photos with us anytime on Instagram,Facebook, and Twitter. Let’s inspire each other!!! Use the hashtag #plantaseed to connect with other gardeners! What is YOUR favorite garden chore, task?